A Virginia School District is under fire by concerned parents who say that Islam is being forced upon their children. The most recent complaints are over a classroom assignment that required students practicing Calligraphy to write the Muslim statement of faith, that “There is no god but Allah,” and that “Muhammed is his messenger.” This is known in Islam as the Shahada, the most important declaration in Islam, which places the Muslim faith ABOVE Christianity and Judaism. If that weren’t disgusting enough, the same School District taught the students about the “dresscode of muslims”, and students were invited to wear the hijab (scarf which covers heads of muslim women) as a part of an interactive lesson about the “Islamic concept” of modest dress. The School District said that they were teaching on Arabic calligraphy, so that’s why the teacher chose a well known Islamic phrase. Of ALL the Arabic phrases the teacher could have chosen, she just so happened to choose the Islamic statement of faith, which claims Judaism and Christianity are both LIES?! Parents told “The Schilling Show”, and FOX News’ Todd Starnes, that their children were not given the translation of what they were writing. So, that means that the majority of Christian and Jewish students had no clue that they were blaspheming OUR God by writing, “There is no god but Allah.” Another angry parent said that the teacher also presented the Quran to students, but never the Holy Bible. The teacher said a Holy Bible was never presented “because all the students have either read or seen a Bible.” They have seen or read it for a reason! Last year, a School District made headlines by WIPING OUT all Christian and Jewish Holidays from their Calendar in order to appease the Muslims. This was a FIRST in America’s history and could only possibly have ever taken place under a president like Barack Hussein Obama. Also last year, one School in Colorado went so far as to recite the Pledge of Allegiance in Arabic in order to replace the words “under God” with “under Allah”. Finally, earlier this year, students began taking “field trips” to Islamic Mosques to teach the children about “diversity”. Do any of you think Public Schools would be allowed to take their students to a Church or Synagogue? The answer sadly is no. The atheists would be up in arms. This is a heinous double standard in America’s Public School System, and it needs to be STOPPED immediately. In Common Core material, Christianity and Judaism are not taught, but Christianity is instead mocked and put down. The influence of Christianity and Judaism on our Nation’s history is wiped out and rewritten. There is an entire Chapter in a Common Core textbook, over 30 pages, dedicated to Islam, and NO Chapters for either Christianity or Judaism. 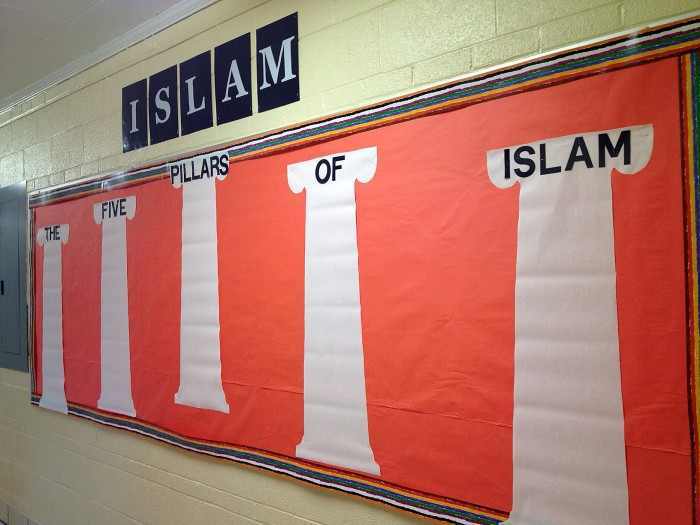 A Teacher’s lesson plan in Common Core includes: Teaching the 5 pillars of Islam, submission to the will of Allah, a call to Jihad, converting to Islam, what is Islam?, overview of the Quran and Sharia Law, Islam and the US, hate crimes and hope, spirit of Islam, root causes of muslim anger with the west, and finally, a lesson on muslims creating a huge empire on 3 continents. One Boston University Professor created a Common Core lesson plan which uses role-playing workshops to teach students to sympathize with HAMAS, to create a Palestinian state and to DIVIDE the Holy City of JERUSALEM, the Eternal Capital of ISRAEL. In today’s extremely secular Godless American Society, Public Schools FORBID the Holy Bible, or using The Name of JESUS or any reference to The GOD of Judaism and Christianity. The atheists love to sue over “separation of Church and State”, which by the way is found NOWHERE in the Constitution or Declaration of Independence. On the contrary, the Holy Bible was America’s very FIRST SCHOOLBOOK. Yet, today, as our God is being forced out of Schools, Islam’s god is somehow allowed to be FORCED IN. Again, only under Barack Obama. Wake up America! Find out what your children are learning. If they are being taught Common Core or ANYTHING about Islam, pull them out of that School! And if you can’t afford to send them to a Christian or Jewish School, homeschool them. 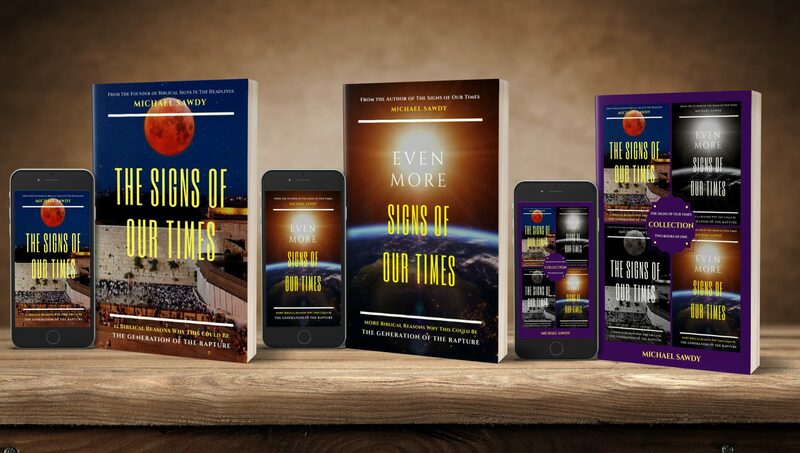 There is a battle raging for the souls of America’s youth, and right now Islam is winning. The devil is winning. DON’T LET THEM.